What does the Swiss immigration vote mean for Britain and the European Union? On February 9, Swiss voters accepted by a very slight margin a popular initiative spearheaded by the Eurosceptic Swiss People’s Party proposing to introduce immigration quotas for all categories of migrants entering Switzerland. The referendum has made the headlines of the international press, and its unexpected result – all other major parties, trade unions and business associations had called for a refusal – has been greeted by about all eurosceptic party leaders in Western Europe, from Marine Le Pen to Nigel Farage. The outcome of the referendum has put the Swiss government in a difficult situation vis-à-vis Brussels: Switzerland had signed a bilateral agreement on the free movement of workers with EU countries, and the very principle of immigration quotas seems incompatible with this agreement. However, the main reason why this vote has received such a great deal of attention – in a country that rarely makes the headlines – is perhaps because it has implications much beyond Swiss-EU relations. Indeed, the vote has come at a time when the free movement of workers within the European Union has been challenged by a number of parties and governments, and when some member states – Britain being the case in point – are seeking to renegotiate their relationship with the European Union. For instance, David Cameron has put immigration control at the centre of his plan to renegotiate the relationship between Britain and Brussels, and Theresa May is a longstanding advocate of immigration curbs within the EU. Even on the left, the Dutch (social-democratic) social affairs minister Lodewijk Asscher recently claimed that free movement was undermining the European social model. Accordingly, the strategy adopted by the EU to deal with Switzerland can act as a signal for its own member states tempted to opt out from or renegotiate the more contested aspects of the EU acquis. In the past, Switzerland had already been presented as a model for what a “Brexit” could look like. In 2012, Boris Johnson even evoked a place called “Britzerland”, where Britain and Switzerland could prosper outside the EU. However, many of these arguments were based on a deep misconception of Swiss-EU relationships. For advocates of a "Brexit", Switzerland was often presented as a proof that free trade and access to the Single Market without the whole regulatory apparatus of the EU, notably in the social domain, was a viable option. However, in many respects, Switzerland is more integrated in the European Union than some member states, both in terms of trade flows and regulations. For instance, Switzerland is a member of the Schengen area while Britain and Ireland are not. Moreover, it tends to adapt unilaterally to EU regulations without having an input in the EU decision-making process. In the last twenty years, Switzerland has consistently been adopting EU policies on an "autonomous" basis, and systematically assesses whether its legislation is “EU-proof”. For a country which depends so heavily on trade with EU countries, the unilateral adoption of EU regulations has constituted a central survival strategy, and its actual degree of independence has been exaggerated. Now, the decision on immigration quotas has challenged this path of autonomous adaptation, and may constitute a test case not only for Switzerland, but for the EU as well. On the one hand, from the point of view of the Commission, adopting a lenient stance by allowing Switzerland to opt out from one of the four freedoms could signal to member states that cherry-picking EU policies is an option, thereby undermining the European project as a whole. 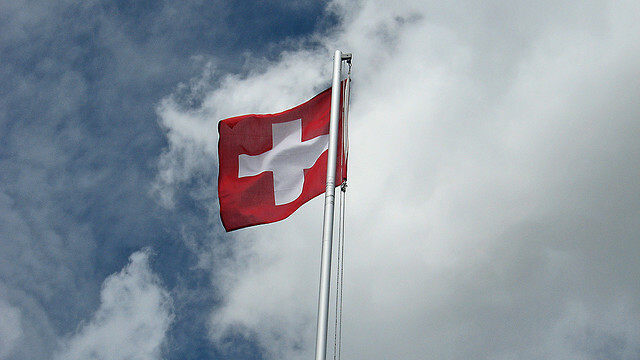 If concessions are granted to Switzerland, why shouldn't they be granted to other countries? In the aftermath of a major crisis that has already tested the limits of EU solidarity, this could start the unravelling of European cooperation as an encompassing project. On the other hand, adopting a harsh stance could provide further arguments to Eurosceptic movements criticising the non-democratic nature of the European Union. After all, the decision on immigration quotas was the result of a democratic vote, and in spite of the fact that is not a member, Switzerland is the country where citizens have voted most often on EU questions, for instance about the extension of free movement to the member states that joined in 2004 and 2007. After the “no” to the European Constitutional Treaty in France and the Netherlands in 2005, this could be understood as another demonstration of the weak regard of the EU for popular votes. So far, the Commission has adopted a hard stance, while some member states seem to be more willing to grant concessions. A number of ongoing negotiations between Switzerland and the EU have been blocked in the direct aftermath of the referendum, for instance about the extension of free movement to Croatia, the Swiss participation in the ERASMUS student exchange programme, or the Horizon 2020 research programme. An actual exclusion of Switzerland of this latter programme could potentially deprive Swiss universities from hundreds of millions of EU research money: last year, Swiss universities received 1.8 billion of such funding. The commission is seeking to make the case that all EU policies are linked, and that a standstilll in one policy area leads to a standstill in all others. This presumably also helps raise the salience of policy domains where EU countries directly benefit from cooperation. Switzerland has a competitive university system and potentially receives more research money than it pays in. This could act as a signal for Britain, whose elite universities also receive large amounts of EU research money. Britain was only second to Germany in the total amount of EU funds received, and the 2 billion they could hope to receive correspond to just over a fifth of the total government spend on science. While euro-scepticism is often directed towards highly salient issues such as immigration, these less salient but financially important aspects of European cooperation are almost always ignored. In many respects, it makes sense for the Commission to emphasise that the Acquis constitutes a whole, and that countries cannot keep domains where they win and drop those where they lose. Among member states who may be less keen than the Commission on furthering an "ever closer union", however, positions have differed. France seems to be championing a hard stance with Switzerland, in line with its recent efforts to fight tax evasion to this country, while Germany seems to be showing a more accomodating stance at least in the short term. From a strategic point of view, it may make sense for member states still committed to the European project to make an example of Switzerland and show that cherry-picking strategies such as those promoted by Britain are not viable. At the moment, David Cameron seems relatively isolated in its attempts to repatriate EU powers to London and limit the free movement of workers. Switzerland may be used as a convenient guinea-pig to show him that the free movement of workers, services, goods and capital are not separable.